As Africa's leading flexible packaging company, Nampak Flexible covers the full spectrum of flexible packaging, and have an incomparable offering locally and internationally. Nampak Flexible's customer experience is defined by the company's vision of "Flexible is More". As a result, Nampak Flexible's main areas of focus are consistent with goodmanufacturing practices, including "On Time, In Full" (OTIF), costs, lead-times and quality. Nampak Flexible has three strategically located plants throughout Southern Africa, with its headquarters based at the company's "mega plant" in Pinetown KwaZulu-Natal. The three plants specialise in their particular packaging technologies and operate according to world-class standards. Nampak Flexible's KZN and Western Cape plants are ISO 9001:2000, ISO 14001 accredited and have American Institute of Bakers (AIB) and British Retail Consortium (BRC) certifications as well as HACCP accreditation (incorporating the Occupational Health and Safety andWasteManagement programmes). Nampak Flexible is also the first South African company to gain Oliver Wight Class A accreditation for Integrated Business Planning (IBP). Conveniently situated near Nampak Flexible's Pinetown plant, the company's Origination Centre (NOC) services customer requirements from concept and design, through to printing processes and rapid product mockups/trials. In just a fewshort years, Nampak Flexible has invested over R100-million in a series of strategic initiatives, specifically equipment, IT, technology, training and quality. Their continuous improvement programme means that continually raising the bar is an integral part of the company's performance. The many packaging and printing awards, which Nampak Flexible has won in recent years, reflect the integrity of this commitment. As a member of Nampak, Africa's largest packaging company, Nampak Flexible has access to the scientific expertise and services of Nampak Research & Development (R&D), widely regarded as one of the world's leading packaging research and development authorities. Nampak Flexible's production, quality and innovations processes benefit regularly from Nampak R&D'S input and involvement. Nampak Flexible is the largest consumer of BOPP, PET and foil in South Africa. Their printing capabilities are Gravure and Flexographic in up to eight colours on any form of film, paper or foil laminations. Options for laminations include solvent-based, solvent-less, extrusion and water-based. Furthermore, Nampak Flexible offers multiple in-line applications such as cold seal, heat seal, hot melt as well as high-gloss and matt varnishes. 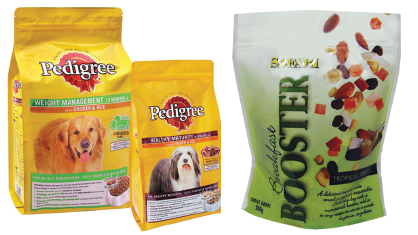 The company's diverse range of products includes reel stock for blue chip FMCG customers. Their pouches range includes standup, flat-shaped, retort, dual compartment, pour spouts and resealable. Nampak Flexible's products are supplied to the FMCG, wine, industrial and medical markets. Nampak Flexible is also the leading supplier to the wine industry with their bag-in-box offering and is the only aseptic bag packaging manufacturer in South Africa. Nampak Flexible has established capacity in high-growth products, such as pouches, while enhancing their core offering through various alliances and partnerships. Examples in this regard are the company's agreements with Aran Packaging in respect of aseptic materials for bag-in-box applications, and Celomat for in-pack promotions. Similarly, Nampak Flexible is able to offer anti counterfeiting technology across various formats. Through Nampak Flexible's group association, the company has a BEE rating from Empowerdex, and contributes to a wide range of corporate social investment projects and environmental campaigns. BEE policy - Nampak has achieved a Level 4 BEE rating as certified by Empowerdex. This rating means a procurement recognition level of 100% and is very important in the company's competitive landscape. It is noteworthy that Nampak missed the Level 3 threshold by a mere 1.8 points! Nampak achieved the highest possible scores in both Enterprise and Socio-Economic Development, while doing very well in the Preferential Procurement and Ownership legs of the Empowerment Scorecard. Environment - Both Nampak Flexible's Pinetown plant in KwaZulu-Natal and its N'dabeni plant in Cape Town are ISO 14001 certified. ISO 14001 is an environmental management standard that defines a set of environmentalmanagement requirements. Since its first publication in 1996, ISO 14001 has grown to become globally rated as the most important environmental certification to achieve. Thousands of organisations use andsupport the ISO14001 standard, with governments actively encouraging its implementation. Nampak Flexible's implementation of this certification was a year long project and followed two stringent audits by the SABS (South African Bureau of Standards). Over and above the Nampak group initiatives and recycling efforts, Nampak Flexible is involved with a number of waste reduction initiatives, using water as a major basis in their processes, and celebrating international Earth Day, which this year involved giving a tree to every Nampak Flexible employee to plant. HIV/Aids strategy plan and policies - Nampak Flexible's HIV/Aids strategy is in line with the broader Nampak strategy. Some of the initiatives Nampak Flexible encourages on a plant level include VCT (Voluntary counselling and testing) on a regular basis for all employees, peer education, training and support. AnHIV/Aids cultural survey is also conducted on a regular basis, and the results thereof serve as a basis for further training. Community projects - Nampak Flexible's various community projects include the winter blankets/clothes drive, donations to soup kitchens, school shoes drive, donations to welfare and orphanage houses. These initiatives are plant based. Nampak Flexible is also involved with / contributes to broader initiatives which are driven by the Nampak Group, which gives away 1% of its profit after tax to CSI (Corporate Social Investment), focusing on education, the environment and welfare. Staff training - Various staff training initiatives are Nampak based such as the business excellence training, sales training, and manufacturing training for various manufacturing disciplines to mention but a few. Creating a culture of innovation and developing talent are key to future plans, and are visionary drivers of Nampak Flexible's "Flexible is More" vision. Nampak Flexible's plans for the future are to keep offering their customers (and all stakeholders) "More" in terms of product solutions, business ideas, excellent service, innovation and quality in order to maintain its position as Africa's Flexible packaging leader. 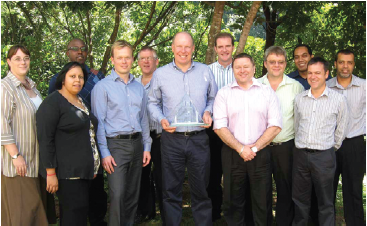 We are the custodian of Nampak's Flexible Packaging strategy and assets in Africa.